This is the right time of year for San Luis Obispo winter services such as tree pruning, landscape lighting installation, rose and fruit tree planting, weed control, and landscape drainage services. Taking care of the landscape is a year-round process here in California. 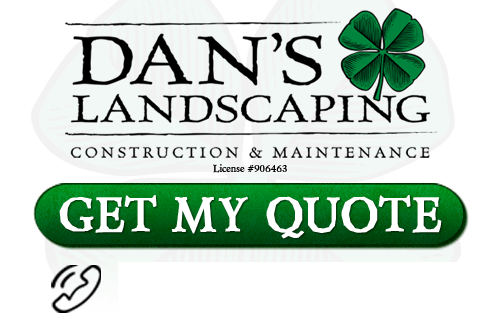 Winter landscaping services and yard cleanups are available from Dan’s Landscaping Company. Our professional San Luis Obispo landscapers can tailor your winter services to meet your specific needs. We offer a broad range of residential and commercial landscaping services to improve your property. Give us a call today so we can help you get your yard ready for the coming spring growth season. A seasonal yard cleanup involves removing leaves, branches, dead brush, and debris from the landscape. Getting rid of the dead foliage is important to keep disease and insects off your property. Dan’s Landscaping also offers additional services such as mulching, fertilizing, insect control, trimming, pruning, and more. 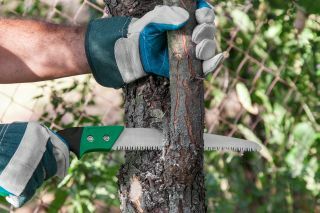 Tree pruning services are available year round. However, this is the season which is best because trees are dormant. Instead of the sap running fast during the warm months, it will congeal quickly to heal the wound that pruning causes. If you are ready to make your landscape beautiful and more functional after dark, call us for landscape lighting service. We can help you create the right design plan with a variety of lighting styles. Consider LED landscape lighting installation for energy savings and more illumination options. Our pros can install any type of landscape lighting you prefer. Call now to schedule dormant rose and fruit tree planting in San Luis Obispo. December is the perfect time of year to plant these bare root plants in our area. Start off right, take care of them properly, and your new roses or fruit trees will be beautiful and fruitful for years to come. Drainage services can be scheduled any time of the year. It’s a good idea to take care of problems with water runoff or pooling when the landscape is dormant. If your landscape needs a drainage solution, our expert San Luis Obispo landscapers will help you find the right plan to take care of it. Winter is the perfect time to begin the process of weed control for your San Luis Obispo landscape. Our weed control services rid your grass turf and flower beds of those pesky, unwanted weeds. Schedule service now so the right greenery thrives and the weeds stay under control during the new spring growth season. For San Luis Obispo Winter Landscaping Services, please call Dan’s Landscaping Company at 805-550-5488 or complete our online request form.